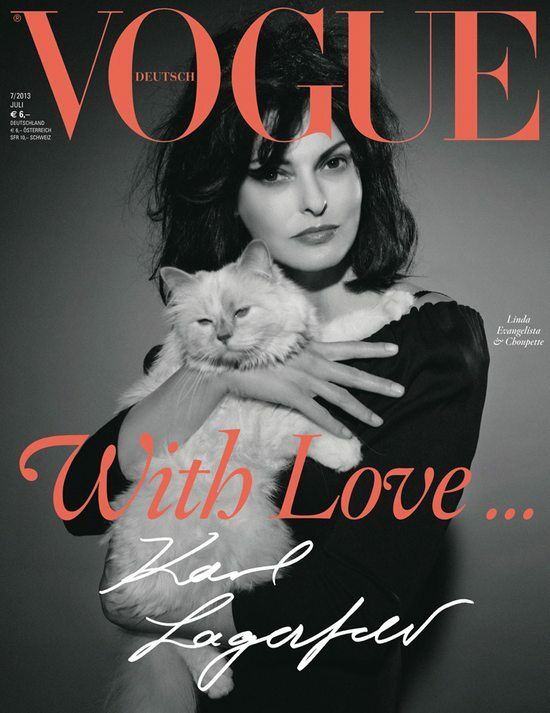 Karl Lagerfeld captured his favorite cat Mademoiselle Choupette and Linda Evangelista for the July 2013 issue of the german Vogue. Linda Evangelista is wearing a black dress by Nina Ricci, hair styled by Julien D'Ys for L'Atelier NYC and make up by Emmanuel Sammartino. Manicure by Anny Errandonea.